The Odin micro-services platform is based on spring boot,which provides a light weight container on top of which any micro-services required meet the business requirements can be built. Bootstrap Layer - A light weight runtime that provides management features for the runtime and extends spring boot for handling the wiring up of the different services. Services Layer - A layer of embedded services that sits on top of the bootstrap layer. Built on top of Odin, Thor is the micro services business platform. It offers robust architectural patterns like Data context Interaction (DCI) and CQRS (Command Query Responsibility Segregation) for quick & easy development of micro services based on business requirements. Midgard is an API gateway which is the single-entry point for all the micro services. Midgard handles all cross-cutting concerns like authentication, authorization and load balancing. It has got a built-in service registry, routing engine and load balancer. 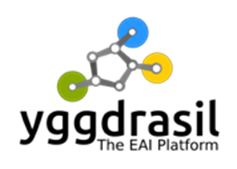 Built on top of Odin, Yggdrasil is an EAI (Enterprise Application Integration) Platform. It has got capability to integrate to any external system or applications as needed. All you have to do is to write appropriate adapters for integration logic.